You've climbed all the way to the top of Terror Mountain to bring your pet's favorite broken toy to Donny to repair. Just before you go inside, (s)he begins to sniffle again, so you smile reassuringly , and give a consoling pat on a furry shoulder. You reach to open the door to the shop, but before you can touch it, ...ZZAAAPPP! After a long day, you decide to take your pet to Happy Valley for a slushie. Outside, the winds are brisk and the mercury's low, but a roaring fire has the shop toasty warm. Before you take your seat, you remove your pet's scarf, hat and mittens. You start to pull out your chair and ZZAAAPPPP! What's going on? Has Donny booby-trapped his door? Does the Snowager have a secret attack? Are invisible faeries following and tormenting you? Maybe. But more likely you're just experiencing one of winter's lesser hazards, static electricity. With the Advent Calendar available daily throughout the month of Celebrating, tourism to Terror Mountain is greatly increased, so the Terror Mountain Tourism Board, along with the Happy Valley Visitor's Center, and the Ice Caves Conservation League, has prepared this handy guide to help Neopians deal with static electricity. First, and most important, static electricity causes no real damage. For most of us, those unexpected little shocks are just annoying, not dangerous. There are exceptions, of course. Very shy, timid, or frail pets may become upset or withdrawn by repeated shocks. Maraquan and aquatic pets, although very difficult to shock, seem to suffer more than other pets. On the other hand, electric pets tend to enjoy the effects. Whenever objects rub against you or your neopet, a very weak electrical field is created. This field is stored, and the next time one of you touches something, part of the field transfers to that object. If the object is metal, or another good conductor of electricity, the transfer is a noticeable shock, and in dim light or darkness you may see a spark. Dry fur, feathers, and skin can hold a nasty static charge. The cure: moisturize! Always use a conditioner after you shampoo your pet, and remember to dry them on the lowest heat setting. For pets who are hard to bathe, try a shampoo with built-in conditioner. Gnorbu Conditioning Shampoo is a fine choice for any pet with lots of fur. If your pet really dislikes bath time, get a bottle of bubble-bath. JubJub Bubble Bath is specially formulated to keep fur soft and tangle-free. Pets that don't have fur should always use a gentle, non-drying soap. They benefit greatly from frequent applications of lotion. Sun tan lotion is a good idea anytime you're involved in an outdoor activity like Rink Runner, and works quite well to combat static electricity. 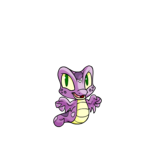 Krawk Hair Lotion is a good choice for all neopets with scales, not just Krawks. While you're at the grooming parlour, invest in a good comb and brush. Try to get products made from wood, stone, or shell. It's best to use just a comb, but if you favor a brush, use one with natural bristles. Try spraying the bristles with hairspray before you use it on your pet. Finish with one of the many fur or feather sprays available. All the lotion and conditioner in Neopia won't help unhealthy fur, feathers and skin. It takes a healthy diet. That means plenty of fruits and veggies, and proteins. Your pet needs lots of liquids, too. If your pet is the sort that hates to eat "healthy food", substitute flavored Kau Kau Farms milk for the plain variety, offer a nutritious smoothie for dessert, and when eating away from home have a milkshake instead of neocola. It's important to stay warm, as you go about your winter activities, and even the furriest pets sometimes need a little protection. But all those fluffy, fleecy sweaters, scarves and mittens could give your pet a nasty shock. The solution? Natural, not synthetic fibers. Try to pick out clothes made of cotton or silk. Wool works too, but can be a problem for some Neopians. Leather or suede footwear does the best job of protecting you and your pet. There are some clothing items that are especially useful for the very static-prone or wary pet. Aviator scarves and gloves are specially woven and treated to resist static build-up. Because static discharge can be a real problem in space, items made for wear on the Space Station and Kreludor actually prevent static shock. Even more extreme, let your pet go barefoot! That can of hair/fur/feather spray can be useful in your wardrobe, too. Spray the inside of caps and mittens before putting them on your pets. Carry it with you to calm fly-away hair and feathers--a sure sign of static build-up. Re-apply each time your pet takes off/puts on an item. If you are staying at the Mountain Lodge, you'll be pleased to know that each room comes with a humidifier, free of charge, to help keep static build-up low. But if you or your pet are especially sensitive, consider getting a room with an en-suite bathroom. A nice steamy shower once a day will really add to the moisture in the air. If you're considering building on Terror Mountain, it's recommended that you install an air humidifier to help keep static low. Many residents find that keeping neohouseplants helps. Having an aquatic petpet is another way to increase the humidity of your neohome; there will be some evaporation of water in their bowls or habitats. So there you have it; follow these simple guidelines and you and your pets won't find yourself shocked by the weather on Terror Mountain. Although this article was written to address static electricity issues for neopets and their owners, the information also applies to petpets. The effects of static electricity on petpetpets have not been studied. Although this article was prepared by the Terror Mountain Tourism Board and Associates, static electricity is not unique to the Terror Mountain region of Neopia. Static shock can occur in any other part of Neopia experiencing cold, dry conditions, and can even be found occasionally in the warmer regions. This article was written to aid owners and their neopets. Following these guidelines is no guarantee that static shock will not occur. The author, along with the Terror Mountain Tourism Board, the Ice Caves Conservation League, and the Happy Valley Visitor Center, does not accept liability for accident or injury resulting from the following of this guidelines. That's right, and now comes one of the most difficult choices a friendship will ever face: holiday presents. Let the Spirit of Christmas flow in you.